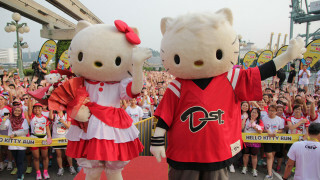 The world’s most famous character, Hello Kitty! 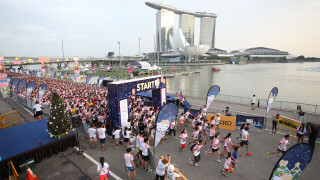 The second instalment of the Hello Kitty Run Singapore flagged off yesterday at 5 p.m. together with 11,000 participants at The Float@Marina Bay. 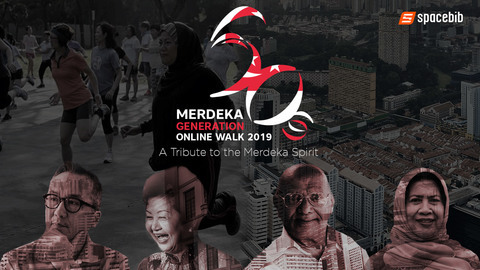 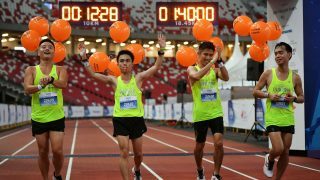 This year’s run was arranged as a night run as the excited participants were energised with artificial snow as they went off to complete the 5 km run route. 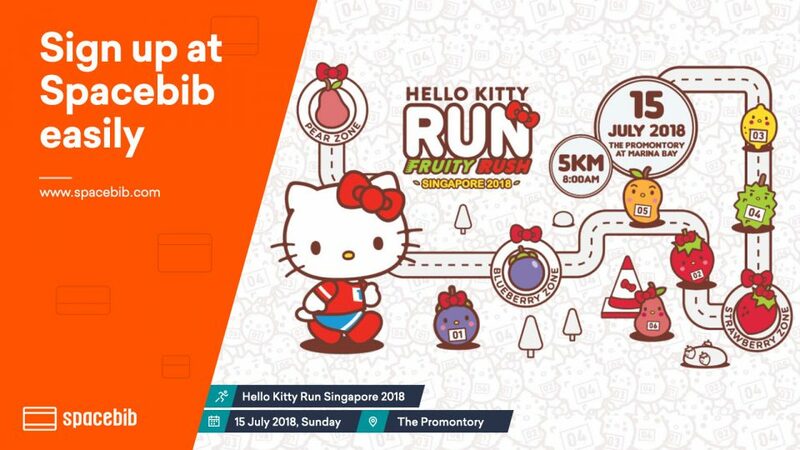 The world famous Hello Kitty is back in Singapore, and she’s bringing an exciting new twist to this year’s run edition – the first ever Hello Kitty Night Run! 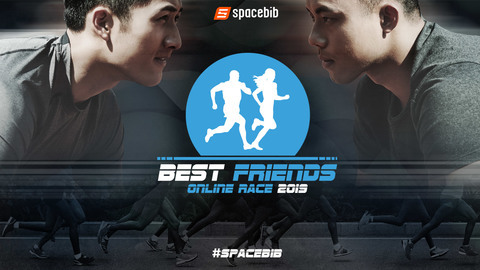 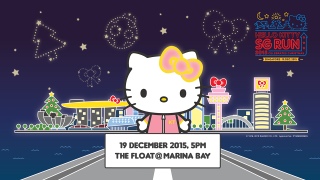 Happening on Saturday, 19 December 2015, the night run follows a roaring success in 2014’s run which saw over 17,000 participants and Hello Kitty fans. 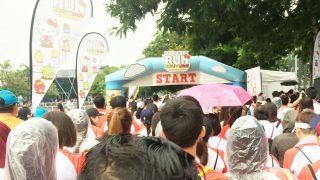 Singapore’s First Hello Kitty Run Attracts 17,000 Participants with Fun and Rain! 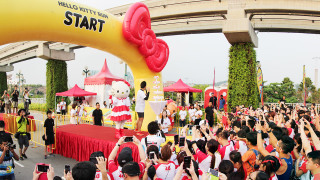 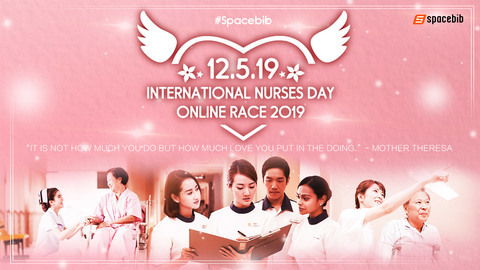 Singapore – Hello Kitty, the world reigning feline queen of Kawaii (cute) celebrated her 40th Birthday together in an ocean of 17,000 red and white avid race participants on Saturday, (Nov 1) at the inaugural Hello Kitty Run Singapore held in Sentosa. 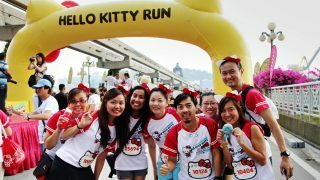 Hello Kitty Run 2014: Celebrating Hello Kitty’s 40th Birthday in Singapore! 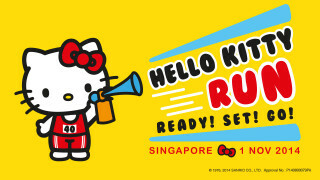 Sanrio’s world famous feline Hello Kitty celebrates her 40th birthday on 1 November 2014 with the first ever Hello Kitty Run Singapore! 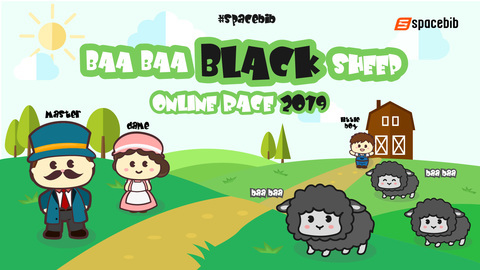 The birthday bash, exclusive to Singapore in Southeast Asia, will flag off with a unique birthday cake and birthday song, sung by 15,000 fans!